Have you been searching the web for an honest Affilorama Review? Perhaps you’re wondering what this is all about and if it’s another scam targeted at taking your money and leaving you with nothing? Affiliorama has actually been around for quite some time now and I have been meaning to do a review on it but never really had the chance until now. However, like everything else I have on my list of things to do this has got pushed off to the side for some unknown reason. After several requests from a few loyal visitors, I have finally decided to review this program and see if the training and tools offered inside is really worth the price of admission. Have you guys ran into this program in your online ventures and wondered if this was worth checking into? Well, if you have then I encourage you to stick around and continue reading this review in its entirety as I’ll be revealing everything you’ll be doing here before you join. I’m sure that many of you may have several questions about this program and hopefully, you’ll be able to find the answers you’re looking for in this review. This is an affiliate marketing training center that teaches the basics, as well as some of the more advanced marketing techniques. Established in 2005 by Mark Ling, this affiliate marketing training site has come a long way over the past 12 years. Since it’s inception back in 2005, This membership site has shown over 300,000 people how to build an affiliate marketing style business selling other peoples products. As someone who has been involved in this industry for 5 years now, I know that there aren’t that many legitimate places out there that truly show you the REAL way to build an online business that won’t drain your bank account. Who Would Benefit From This The Most? To be completely honest with you guys today, this opportunity would be ideal for just about anyone looking to get started online and learn some of the most basic affiliate marketing skills. Like I said earlier, they also offer a few more advanced traffic strategies that go beyond SEO and other free ways to drive traffic to your site. If you’re the type of person who is currently looking for a way to escape your 9 to 5 job and get rich overnight then I don’t think this program would make a good fit for you. This is designed more for people who aren’t afraid to work hard and look at things more long term. If you don’t happen to fit into this category then perhaps this program wouldn’t work for you. Their training comes in the form of videos along with PDF notes for you to d/l after each lesson. There are over 120 video lessons that show you how to build a website, pick a niche, and learn how to monetize your website. Listed below are just a few of the many lessons that you’ll gain access to in the member’s area……. There are a good number of tools that you’ll gain access to in the member’s area but the 1 that really sticks out the most for me is Affilotools. This nifty tool can not only track and manage your keywords but also measure your website health, traffic, SEO rankings, and even keep track of how much revenue your site is generating on a monthly basis and determine where it’s coming from. There is even a unique targeting feature that’s included as well that allows you to target specific locations for you to get a better idea of where your traffic and conversions are coming from. You can also connect your social media accounts to this as well and manage everything in 1 place. This eliminates the need for you to have multiple tabs open at once and being all over the place. Pretty sweet if you ask me, wouldn’t you guys, agree? To get a better idea of what I’m talking about check out the screenshot that I’ve captured for you guys below!! To be honest with everyone here today, this is what sold me on this program. This is something that I’ve been in search of for years now. I’m sure you guys have heard the saying, time is money, haven’t you? Well, If you’re any type of marketer you know that time is something that we never seem to be able to find enough of. I feel like this tool alone is worth the price of admission, not to mention all the training and other things that come included as a premium member. Is There Help & Support When You Need It? Having the right support channels available at your fingertips could be the deciding factor that determines whether you make it or not in this industry. If I hadn’t of got the right amount of help and support when I first started out here 5 years ago, then I would probably still be working in corporate America slaving away for some company and struggling to keep my head above water. The minute that I activated my free trial and started making my way through the training, a live chat box popped up several times asking me if I had any questions so far or if I needed a hand with anything. Also if you would rather speak with a live person on the phone they have a customer support number you can call and speak to 1 of Mark’s staff members. There are 2 price points associated with this training platform and I’ll list these for you guys below. Basic Membership- As a basic (Free) member you’ll gain access to 120+video training as well as PDF files, customer support, and the member’s forum. Premium Membership- With this membership package, you’ll get everything included in the basic membership in addition to their premium website tools where you can access all your important website stats all in 1 convenient place. If you’re not sure if their premium membership would be a good fit for you, then you can take it for a test drive for a full 30 days for only $1. After your 30 day trial, you’ll need to pay a monthly fee of $67. There are also a few upsells available to you as well and I’ll be revealing how much these cost below so continue reading. If you have visited my website on a frequent basis then you’ll know that I’m not much of a fan of upsells and I usually don’t recommend you to go for these. However, I feel that upsells do have a place in the online marketing world if they are done right and actually compliment the product/service and offer value. The thing I like the most about these upsells is the fact that they are completely optional and not required for you to complete the training. For those of you that don’t have the time or patience to build a website, pick a niche, and learn how to write content, then you may want to consider investing your hard earned money into 1 of these done for you packages below. Let’s face it, learning how to build a website can be very tedious, overwhelming, and extremely difficult and this is the main reason why most people usually end up throwing in the towel and quitting within the first 3 months. Also, learning how to create consistent website content that converts could take you years or more before you see any results. Not to mention trying to find a reliable web host, getting all of this setup, and figuring out where to add your nameservers. Wouldn’t it be nice if there was a way for you to eliminate this headache altogether and have someone else do the work for you? Have you ever struggled with any of the things I listed above? I can personally relate to just about everything listed above and when I first started out here and I wish I had found something like this 5 years ago. AffiloJetpack normally retails for $997 but if you buy it through my special link below you’ll receive an instant savings of $250 bringing your cost down to only $747. Here’s everything that comes included in AffiloJetpack below!! This package also allows you to create 5 already done for you websites that take the guesswork out of building a site and you can have these setup in no time. There is also 1 other upsell(AffiloBlueprint) that’s available to you in the member’s area but in my own honest opinion, this is nowhere near as valuable as the one I listed above. All of this for a 1-time fee of only $197!! 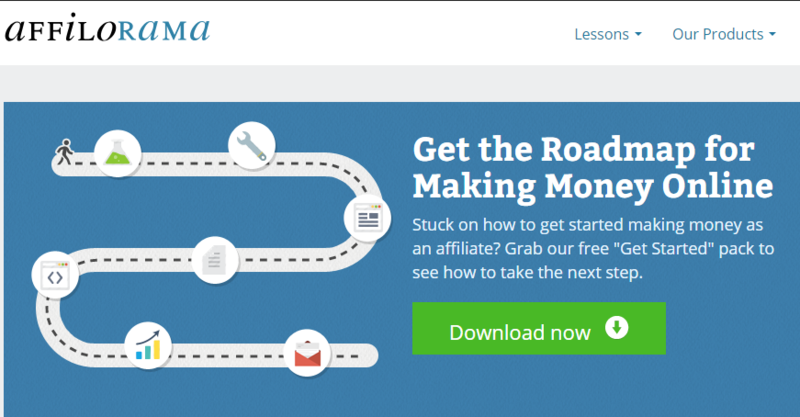 If you’re a newbie who is just getting started online, then I couldn’t think of a better program for you to get started with then Affilorama. Whether you’re the type of person who would rather do it yourself and learn how to build an affiliate marketing business from scratch, or have someone else do all the work for you, I think you’ll find that this program has exactly what you’ve been looking for. At the end of the day, it’s up to you to decide which option would be the best for you and which one fits into your budget. Affiliate marketing is one of the best ways to earn money online and the way that I earn the majority of my income in the online space. However, with all the get rich quick schemes and potential online scams out there this can be downright scary if you don’t have the right training. Even tho this program is completely legit and has been around for over a decade, this program isn’t for everyone and that’s perfectly fine. If you’re living on a fixed income and you’re looking for a more cost-effective and hand on approach to building an affiliate marketing business then perhaps Wealthy Affiliate would be a better fit for you. Both training platforms show you how to do pretty much the same thing and the end result will ultimately be the same. The only difference is WA focuses more on blogging and content creation while Affiliorama teaches you a little bit of everything. Anyways, I really hope this review has helped you guys out and hopefully I’ve been able to answer any questions and clear up any doubts that you may have had prior to reading this review. Still, have questions or aren’t sure which program would work out the best for you? Feel free to leave them for me below and I would be more than happy to help you out and answer any lingering questions you have in the comments below. Also, if this review has helped you out, why not share it with other people? You can do so by clicking the share buttons below! !